2017 is definitely going to be a time of change. New year, new President, new editor –in-chief of Cosmo Mag…it’s enough to make our heads spin. But with every new beginning, there’s always the excited anticipation of new prospects. 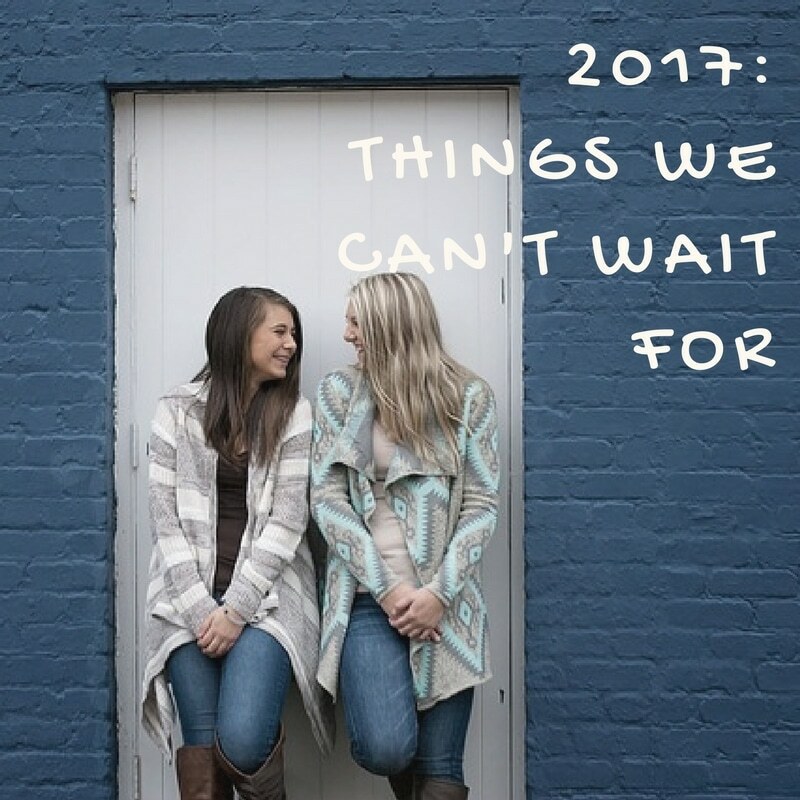 So take a break from your resolutions and check out these seventeen things we can’t wait for in 2017. Live Action Beauty and the Beast-With a star-studded cast led by former Harry Potter leading lady, Emma Watson, this year’s live action Beauty and the Beast is sure to bring laughter and tears. And though we know Luke Evans plays Gaston, the buff baddie, we can’t help but swoon just a little. Mean Girls…The Musical-We’re not joking…Mean Girls in a musical adaption is actually slated to debut in Fall 2017. Hey if Legally Blonde and Spider Man can do it, why not the Queen B and her Plastics? Nick Gets Engaged. Hopefully– For Nick’s sake, we’re hoping the third time’s the charm (though technically this is the fourth? Sorry Jenn).We’re only three weeks into the Bachelor, and it’s already looking like a dramatic season. Lucky for Nick, there are some stellar stand outs so far so let’s hope that Neil Lane engagement ring actually ends up on the finger this time. Solar Me This- Mark your calendars! The first total solar eclipse viewable from the US in over a quarter of a century will occur on August 21st. If you’re in the line of the eclipse (from Oregon to South Carolina) you’ll have the best view, but the natural phenomenon can still be viewed in other parts of the country. Remember to get eclipse glasses to protect your eyes! Bones Finale!– After 12 (yes 12) seasons the quirky forensic anthropologist and FBI special agent will hang up their scalpel and gun (respectively). The long running television show will have us feeling the feels as we say goodbye to Bones and Booth. In a Disneyland Far Far Away…– Okay so not that far away. Disneyland and Disney World will complete construction on their respective Star Wars Lands, finally incorporating the mythology of the famed LucasFilms. Who’s down for a little Light Saber 101? 10 Dollar Founding Father– This historic and historical musical Hamilton is finally set to tour the US starting in 2017, with stops in San Francisco and Los Angeles scheduled. While 2018 has more stops than the California residencies, the magic that is Alexander Hamilton and Aaron Burr, Sir, begins its cross country journey soon. First You Multiply Now We Divide– British music sensation, Ed Sheeran, makes us love math once again. His new album, Divide, releases in March. If his current singles are any indication of the entire album, it’s going to be amazing. A Series of Unfortunate Events Revamped for Netflix– Throwback to middle school or junior high, the famous Lemony Snicket book series is coming back to Netflix as an eight part season. That means eight hours of binge-worthy television. Another super plus—Neil Patrick Harris stars. Harry Styles + Christopher Nolan– Christopher Nolan’s latest film about the legendary and infamous World War II battle, Dunkirk (film of the same name) packs a powerful squad of seasoned actors. Kenneth Brannagh, Cillian Murphy, and Tom Hardy all lend their acting chops while we see a fresh hair cut on One Direction’s Harry Styles for the first time on the big screen. A Song of Fire and Ice– It’s been a combined twenty years since the first book came out in this series (better known to all as The Game of Thrones via HBO’s hit show), and the latest installment has been delayed for over a year. Finally the books catch up to the show this year with the release of the 6th book. We’re still waiting on the Mother of Dragons/John Snow interaction on the show, George. “We’re Back, Pitches!”– Believe it or not, the Pitch Perfect franchise will extend for at least one more movie. The 3rd installment of our favorite collegiate acapella movie is set to release in December of 2017. Backstreet is Also Back– Rock your body in Las Vegas at the Backstreet Boys’ residency at the Planet Hollywood Hotel and Resort. We’re so down for the Boys to show us the shape of their hearts. 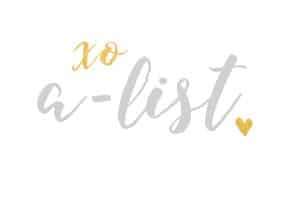 Posh Spice Gets with Target– We’ve been drooling over Victoria Beckham’s fashions for a really long time, so when Target and Posh herself announced their 2017 collaboration, the world looked just that much better. On April 9th, stores will be stocked, and with this much anticipation, it’s looking like it’ll go fast. The Notebook Sequel– We can’t seem to get enough of Nicholas Sparks, either in written form or in movie form. Lucky for us the king of modern (albeit often tragic) romance is back with a sequel to the much beloved The Notebook. The Notebook and the Wedding follows Allie and Noah’s son-in-law and his attempts to win back his wife. Expect tears, both of joy and sadness, to accompany this read. Pretty Little Liars Will Meet Their Ends– The final half of the final season will conclude this Spring, with all of us wondering—how did the writers come up with that many plot twists for one show? How will the aged up characters fare? Tune in to find out. This entry was posted in Members Only: A blog for chics and Greeks alike. and tagged 2017, Books, Events, Movies, Music, Pop Culture.